What's YOUR Favorite Port on the Great Lakes? Why is Great Lakes sailing the best in the world? they offer a more than 94,000 sq. mi / 243,000 sq km of outstanding cruising - an area the size of the United Kingdom! 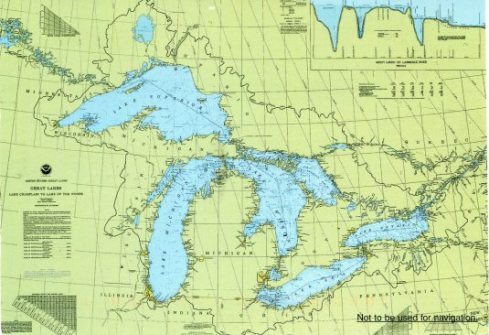 Other than Christopher Columbus' calling native Americans 'Indians', the biggest naming error was calling the Great Lakes 'lakes'. These huge bodies of water are really immense seas, the sweetwater seas as the French explorers called them. I have sailed the Great Lakes for nearly 30 years and never ever tire of their endless variety of moods and conditions. I simply love these immense inland seas. From the majesty of their vastness and their restless energy to the silent, still waters of fog-shrouded mornings, they offer some of the most breathtaking scenery you could ever want! Imagine sailing from Duluth or Thunder Bay on a cool summer morning and making the spectacular journey through the lakes. In fact, if you wanted, you could reach the Atlantic and then head south to the sun-drenched Caribbean! Using the St. Lawrence Seaway, you can follow this maritime highway from the centre of the continent all the way to the Atlantic Ocean. 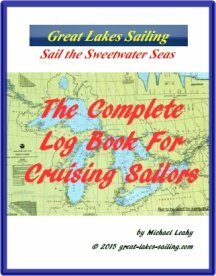 What's in GREAT LAKES SAILING for YOU? In all, a one-stop location for the information that a sailor would want, whether for a weekend outing or an extended cruise. Welcome aboard ........... let's cast off and begin our exploration. Nearly 200 free port reviews showing approaches, marinas & yacht clubs, services & much more! to the lonely sea and sky"
Believe me, my young friend, there is NOTHING--absolute nothing--half so much worth doing as simply messing about in boats. Wherever we want to go, we go. That's what a ship is, you know. Its not just a hull and sails - that's what a ship needs. Not what a ship is. What the Black Pearl really is, is freedom.